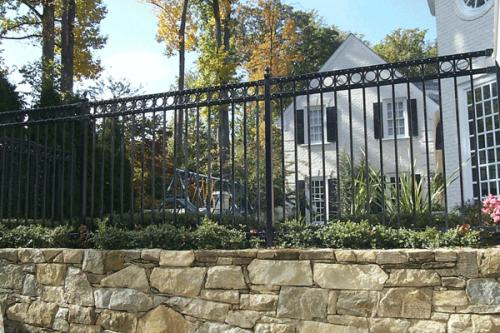 When searching for a residential fence company in Richmond, you need to make sure you ask the right questions before you decide to hire the company. Knowing the right questions to ask will help you narrow down your choices and ultimately lead you to the right fence company. Find a residential fence company in Richmond that knows its stuff with these questions. Do you take care of the permit? Installing a fence in your yard requires a permit. It’s not too expensive to get one, but it can be time-consuming and confusing for those who are unfamiliar with the process. A good fence company will offer to pull the permit for you. You’ll still have to pay of course, but you won’t have to deal with the paperwork. Do you call a utility locator? Installing a fence requires substantial digging, which could interfere with utility cables and other components that are located underground. A good fence company contacts the utility company before it starts digging to ensure that nothing is disturbed in the process. How do you deal with the grade? The grade of your yard is more commonly known as its slope. If you have a flat yard, you don’t need to be concerned with this question. But if you have a hilly or sloping yard, it’s an important question to ask. A good residential fence company in Richmond knows that the fence has to be contoured to the ground. Stepped fences are also used to accommodate hills, but these can leave spaces underneath that could allow your pets to escape. What is in the quoted cost? A good fence company will include everything in the cost they quote you. Others may leave components like gates out of the quoted cost, only to add them in at the end, leaving you with a higher bill. Always remember to ask about the warranty policy. A company that offers a good warranty is a company that stands behind its work. What kind of timeline are we looking at? Fence companies are often busy, so its a good idea to get an idea for of the expected timeline now so you can plan for it in advance. This entry was posted on Friday, September 5th, 2014 at 3:56 pm. Both comments and pings are currently closed.